It took me a bit of time before I realized that this is the initial blog that if I write a post on this blog then it actually shows up on WP and my website. It’s ADHD, that’s my story and I’m sticking to it. Last year for NaNoWriMo, and this year, I’ve used Arwen Lynch’s 33 Days to Finish Your Novel, which is an ecourse (I’ll leave the links to everything below). With Arwen’s ecourse you use tarot cards and the hero’s journey to plot out your novel. I know, I know… You’re probably thinking WHAT? Tarot cards? The Hero’s Journey? But it’s creative, intuitive, imaginative, fun, and it works. Using the Tarot cards helps open my mind to possibilities, as well as sparks the fire of my imagination. I look at a card and instead of just seeing what is on the card I also see an image in my head of the character, or the setting, or an event. I see the possibilities of various different scenarios from the image on the card. As I work through the scenarios in my head of what I see when I look at the card I find myself imagining my character as the Hermit, or the Fool, sitting in front of a field full of wild flowers or a beach or an old castle… I see the antagonist with a knife in his/her hand, or kidnapping the protagonist. I see those possibilities and as I narrow down things in my head and then on paper, I know what is going to happen next in my novel. Using my Writer’s/NaNoWriMo Bullet Journal, I’ve been creating the basis of my outline for NaNo, then taking those basics and going a step further in my Writer’s Notebook for that novel. It’s a process. It’s a process I wasn’t sure I’d ever actually be able to follow through with–I’m a pantser at heart, y’all. But with this method, I can outline the main points, the hero’s journey, and then write by the seat of my pants the rest–like the scenes, which I don’t outline. It gives me structure while still allowing me to be free, to use my imagination, to not feel boxed in by an outline. And here is my YT playlist (so far) for this year’s NaNo Prep. My Writer’s Bible: http://jonelifish.com (If you use the code Burgess10 you will get 10% off anything in her shop except the custom order TN’s). **** This post contains some affiliate links. In plain English, this means that I might receive a small commission (this doesn’t cost you anything) if you subscribe or purchase something through some of the links I’ve provided. You will never see me post a link to a product or service that I haven’t used myself and love! Note: All items have been purchased by me with my own money. Any items sent for review will be clearly noted here or in the video. All opinions are honest and are my own. I hope you’ll come on over to the new website. 😀 Y’all have a great day! Hey y’all. I’ve been busy creating a new blog… It looks similar to this one, but I want to get rid of the number attached to my name and am not quite ready to purchase a domain name yet… I’m getting there though. Wow! Week 1 is almost over and I’m on schedule but it was rough going that first few days. Damn real life, being a grown up, there’s all this stuff that gets in the way: life, health, pain, family, work, art, naps, housework, friends, significant other, and my own damn self–procrastination, self-doubt, distractions, and poor time management and organization. As I write this I am waiting for a today’s video for Camp NaNoWriMo to finish publishing/uploading. I’m glad I’m back on what I consider to be my NaNo time–having a dead line motivates me. I love NaNoWriMo events. 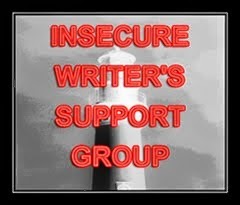 I get motivated, my muse is more inspired, and I enjoy the comraderie with other writers that comes with NaNo. Though I am in a “private” cabin all my lonesome this Camp NaNo I am enjoying it. I feel like it’s exactly what the doctor ordered. The One Book July challenge was thought up by @rhomany, and basically its “One book. One pen. One Month.” I know, I know… I can hear some of you sigh from over here in South Carolina… But, it’s okay.. I did the same. However, it is an amazing challenge that helps you simplify things whether you’re a planner, a journaler, or both–and it’s not THAT restrictive. If you’re interested in learning more about it then please check it out here. I need to stay organized, especially since I have ADHD, but the FF system wasn’t for me, so I tried the TN thing. And I love it. I have more than one, which seems to be par for the course once you hold that leather in your hand and figure out all the cool things you can do with inserts–did I mention the smell of the leather? O-M-G! (lol). But I got a bit distracted–I tend to do that–when I had major surgery in February and got more into the art journaling thing than my writing, or anything else. I was housebound for the most part while I recovered, not really doing much planning, organizing, writing, etc. After recovery, I knew I needed to find some sort of planner/art journaling peace. The way I’ve found writing journal peace–I use a customized A5 Jonelifish bifold TN for my writer’s bible and have 4-5 inserts inside that beautiful handmade work of art. If you’re interested in seeing her beautiful work check it out here (she is on a hiatus right now, but her work is definitely worth the wait). I’d also found my what I call my “paper” peace after finding out that Nanami paper carries notebooks with Tomoe River paper in them, the kind of paper that is in the Hobonichi. I have one of their Seven Seas Standard notebooks and come September when they restock I’ll be ordering another one, as well as a Seven Seas Writer notebook (the Standard is for my art journaling, and the Writer is for my writing). So… how to simplify things but still keep it fun? How to simplify things but organized and workable? I wasn’t sure of that answer but participating in the #onebookjuly2015 challenge meant I might have the chance to figure it out. 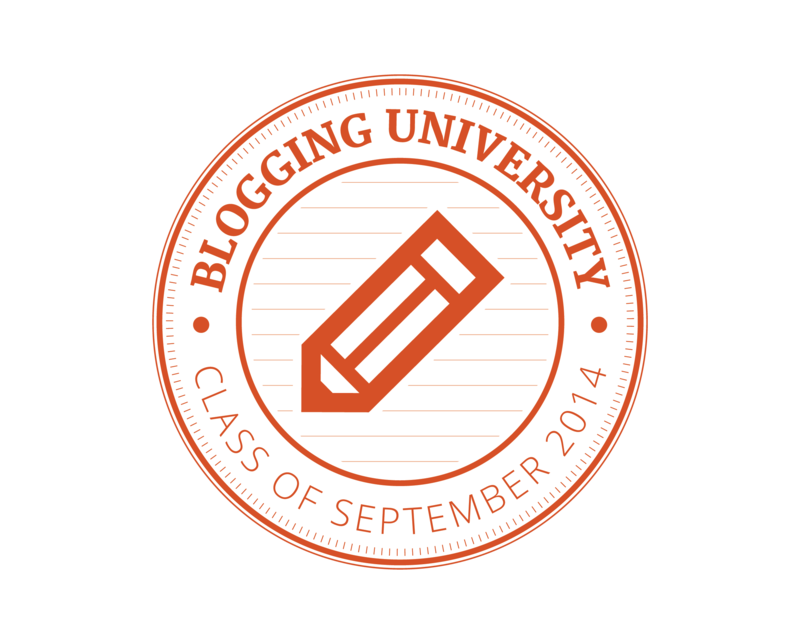 I haven’t been blogging much as of late. Sitting at the computer for long periods of time is uncomfortable–hurt shoulder, rotator cuff (this time it’s the left shoulder, and now because I’ve been over-compensating my right shoulder is hurting again). But the good news is: I see the specialist today at 1:30. YAY! Finally to finally finding out what the hell is wrong with my shoulders. Arthritis? Overuse/overworked? Combination of the two? Age? Torn rotator cuff? All of the above? Who the hell knows, but I will find out in a few hours. I’ve also been busy trying to keep up with preparing for Camp NaNoWriMo in July, as well art journaling, and not for nothing, July is going to be a busy month for me. Not only is Camp going on in July, but #onebookjuly2015 is going on (this where you only use one book for your planning, journaling, what-have-you; and one pen for one month). My birthday is also this month, and we’re going on vacation this month, as well as replacing the flooring in our kitchen and dining room. Yay for goals and accomplishments–hope we accomplish all of it. I’ve been vlogging a bit so if you check out the videos I’ve included there’s much more info. It’s a bit easier to talk to a camera some days than it is to type out posts, but I’ve really been missing my blog. 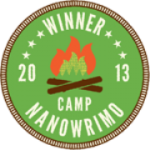 And with Camp NaNo starting tomorrow I HAVE to blog. It’s just necessary. Plus I’m really excited about the novel I’ll be revising for Camp. I started it in a previous NaNo, and took a long hiatus from it and when I picked it up and read it I realized it wasn’t bad at all. It’s actually quite good (not being egotistical here, it takes a great deal for me to say something I’ve written is good–I’m my own worst critic/enemy. Opinionated Man on My new website…. timofeevbooks on Why do I journal?